Adam La Reau has never let an obstacle stop his forward progress. His strength lies in his heart and his will. After graduating from high school, he entered the U.S. Merchant Marine Academy with a plan to go straight to the water — at the Navy SEAL’s Basic Underwater Demolition/SEAL training in Coronado, California. No one from the Academy had ever done that. You don’t make it as a SEAL if you can’t focus on meeting the challenge right in front of you, break it down into achievable steps, and work with your teammates — over and over again. In short, you can’t make it if you don’t learn and display resilience. This is precisely what Adam did during BUD/S and his 11 years as a SEAL officer. Whether to Iraq, Afghanistan or another country, each deployment was a challenge. Like most people, Adam didn’t know much about cancer until it hit his family. He responded to the experience and loss the only way he knew; by seeking out opportunities to help others in their fight. 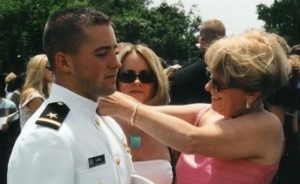 Between his next seven combat deployments, he volunteered with a variety of cancer-related organizations, seeing the resilience in other women like his mom. "I was inspired by their strength." In the meantime, Adam saw close up another scene of struggle. In the SEAL families Adam grew to know and love, the dads are away for long, frequent stretches of training and deployment, with the moms and siblings left to keep things together. Sometimes the dads return injured or wounded. Sometimes they don’t return. For Adam, “the continual losses in combat and training were a constant reminder of losing my mother.” The pain inspired him to do more. His charity work exposed him to yet another group of warriors enduring a battle like nothing he’d seen before — childhood cancer. Adam remarked: “Instead of spending time on the ball field, in backyards playing with friends, or even going to school, they were spending their time in treatment, getting scans, waiting for results and talking with doctors.” It seemed like an unfair fight to him and he wanted to do whatever he could to even the odds. Adam got to thinking about how the resilience he saw in the SEAL community could be applied in his desire to battle the disease that took his mom and impacts thousands of young children every year. He attacked this question in 2013, when he left the SEALs to pursue a Masters Degree in Public Administration at Harvard’s Kennedy School. After getting involved in Harvard’s new “innovation lab” (i-Lab), Adam met his mentor, Tom Bird, an accomplished member of the social impact and venture capital community. Tom was impressed with Adam: “He described his ideas so clearly and succinctly, and glowed while doing so. It was obvious that he was driven to pursue his ideas, and he gave the impression of being unstoppable.” With Tom’s help, Adam put together a proposal and entered Harvard’s President’s Cup Challenge. 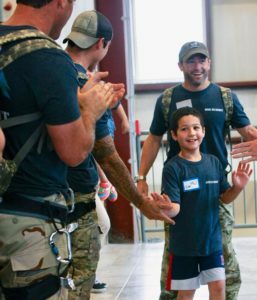 Adam built his entry around a metaphor that captured both the scope of a SEAL mission and a kid’s battle with cancer — climbing mountains. As Adam recalls, “it is filled with falls, missteps, redirecting routes, and rocks crumbling from under your hands and feet.” This is not unlike the psychological stress of having cancer. Young patients “haven’t climbed any mountains before. 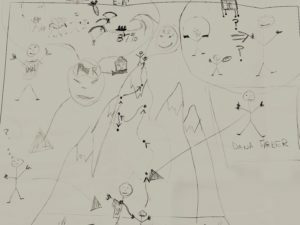 There is a gap in skill and experience to make the climb and they can’t do it alone.” With this in mind, he drew a sketch with kids and SEALs facing such a climb together. And the name hit him: One Summit. 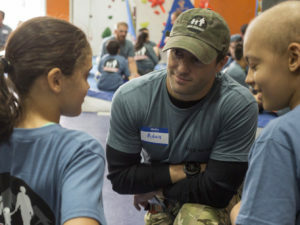 At its core, One Summit was designed to build resilience in children with cancer by teaming them up with Navy SEAL mentors. 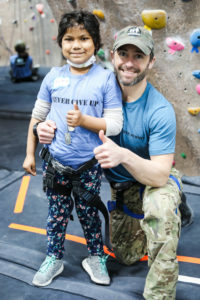 Through a physical experience — indoor rock climbing — children learn how to overcome the fears of starting a new challenge, how to set goals and work as a team, as well as the ability to fail and get back up. 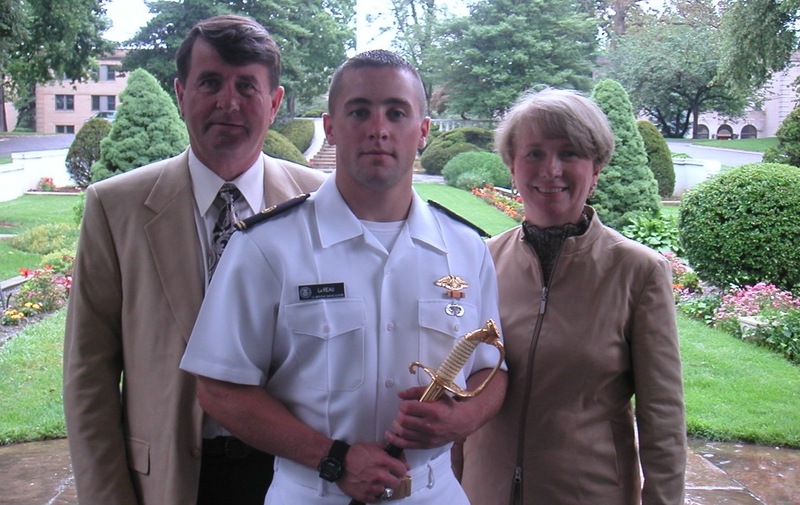 Adam knew these lessons well, from both his time as a SEAL and the experience of losing his mom. “The route we think we are going to take in life and the one we actually take can be completely different, but we can still reach the summit.” He called the program Climb for Courage. Today, the loss experienced as both a SEAL and a son continues to fuel Adam’s drive and vision for One Summit. He remains committed to ensuring all warriors have the skills they need to reach the summit. Share Adam's story on Facebook, Instagram and Twitter to inspire resilience across your own network. Have your own story of resilience? Email greg@onesummit.org to be considered for Steve Hardy’s next Profiles in Resilience.